City water makes a lot of people nervous. And the truth is, you never know what might end up in your tap water. In addition, there is already knowledge that it contains additions that aren’t desirable for taste, smell, health, plumbing fixtures and more. 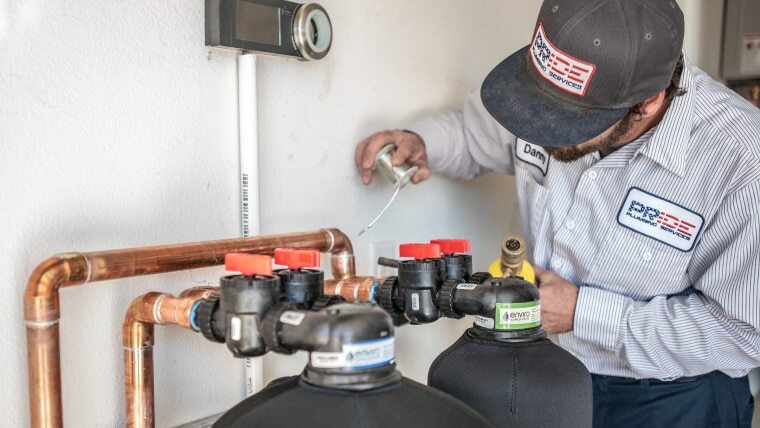 Pride Plumbing provides three services for improving what comes out of your tap: filtration, purification and softening. These components can at best be an annoyance and at worst a detriment to you health. We highly recommend that you use a water purification system in conjunction with a water filtration system, because after the removal of minerals, bacteria and fungi can still be present. A purification system will kill off any unwelcome lifeforms. If the water is mostly clear with a thick layer of fluffy suds, your water is soft. It is hard if the water looks cloudy and the soap does not create many suds. The quality of your water is undeniably very important for your family, your plumbing fixtures and anything you use your tap water for. Pride Plumbing has the water filtration solutions that will help you. For maintenance or repair of your water filtration, softener or purification system, contact us today at (909) 372-1239.